Afghanistan’s disputed election and Iraq’s unraveling are giving members of Congress and U.S. allies in the region reason to think President Barack Obama should rethink his decision to withdraw virtually all Americans troops from Afghanistan by the close of 2016. The White House says Afghanistan is different from Iraq, mired in sectarian violence since shortly after U.S. troops left, and that the drawdown decision is a done deal. Some lawmakers, however, are uncomfortable with Obama’s plan, which responds to the American public’s war fatigue and his desire to be credited with pulling the U.S. from two conflicts. Ten senators, Republicans and Democrats, raised the drawdown issue at a congressional hearing Thursday. They argued that it’s too risky to withdraw American troops out so quickly, especially with the Afghan presidential election in the balance. They don’t want to see Afghanistan go the way of Iraq, and they fear that the Afghan security force, while making substantial gains, won’t be ready for solo duty by the end of 2016. Under Obama’s plan, announced in May before Sunni militants seized control of much of Iraq, some 20,200 American troops will leave Afghanistan during the next five months, dropping the U.S. force to 9,800 by year’s end. That number would be cut in half by the end of 2015, with only about 1,000 remaining in Kabul after the end of 2016. Marine Gen. Joseph Dunford, the top U.S. commander in Afghanistan, testified this past week before the Senate Armed Services Committee. He spoke highly of the 352,000-strong Afghan security force that assumed responsibility for the country in June 2013 and lauded them for keeping violence down during the recent election. The U.S. withdrawal plan, however, is based on being able to fix the Afghan security force’s shortcomings by the end of 2016. Dunford described gaps in planning, programming, budgeting, delivering spare parts, fuel payment systems — things the U.S. military takes for granted. Afghanistan also needs to brush up its intelligence operation and develop the nascent air force. —The Afghan presidential election is resolved. —Afghan security forces continue to improve and are sustainable by 2017 so a small U.S. presence inside the U.S. Embassy in Kabul — a “security cooperation office” — is sufficient. —Shortfalls in the Afghan forces are addressed. —The U.S. and other donor nations continue to fund the Afghan government, security forces and development projects. —Afghan-Pakistani relations improve and the two nations have adequate capabilities — and the will — to counter terrorism. His worst-case scenario: The election remains unresolved; Afghan-Pakistan relations sour and both countries fall short of battling extremist militants; al-Qaida or other militant groups regain their footing in the border region and plot attacks against the U.S.
“There’s a disaster in the making to our homeland and to losing all the gains we fought for inside of Afghanistan by drawing down too quick and not being able to help the Afghans in a reasonable fashion,” Graham said. 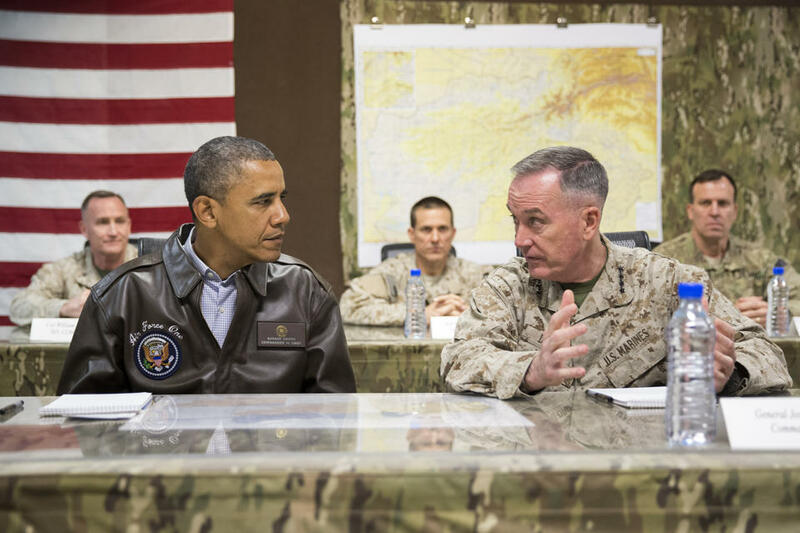 “Afghanistan isn’t Iraq,” Dobbins said. “In Iraq, the people didn’t want us, and not a single Iraqi politician was prepared to advocate our staying. In Afghanistan, the people overwhelmingly want us to stay, and every single contender in the presidential election said they would sign the bilateral security agreement” with the United States. “In Iraq, they could get along without us, at least temporarily, because they had plenty of money. In Afghanistan they can’t possibly get along without us,” he said. Sen. Robert Menendez, the committee chairman, said it was still hard not to draw the comparison. “When the administration announced plans to completely draw down forces from Afghanistan by 2016, I was concerned about the plan, and I still have concerns,” said Menendez, D-N.J.
Tennessee Sen. Bob Corker, the top Republican on the committee, said he was happy that Obama had decided to leave 9,800 troops in Afghanistan next year. But Corker was against putting a two-year timeline on a virtual complete withdrawal. “I think this reflects the president’s intentions,” Dobbins said. He acknowledged that other countries in the region support the continuation of a U.S. and NATO military mission in Afghanistan for at least several more years. A senior Pakistan defense official, visiting Washington last week, told The Associated Press that the entire basis of the drawdown has not been met. The official, who spoke on condition of anonymity because he wasn’t authorized to comment publicly on U.S. policy, said the withdrawal plan was based on having a peaceful transition from outgoing Afghan President Hamid Karzai to a new government, Afghanistan signing the security agreement and assurances the Afghan security forces will be able to hold the country together once the international forces leave. “Tell me, has any one of them been met?” he asked. He said he had come to Washington carrying a message: Pakistan wants the president to take another look.